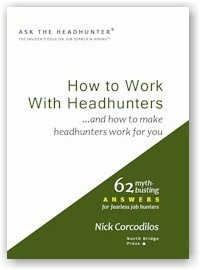 In the May 26, 2015 Ask The Headhunter Newsletter, readers ask about branding themselves and about self-marketing. 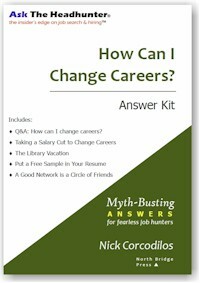 Two brief questions this week reveal the bunk in “branding” yourself when job hunting. The fallacy in this marketing tactic is that getting a job is about you. It’s not. It’s all about the employer and the work you need to configure yourself to do. What is your advice for promoting oneself through personal branding? How can a person do it elegantly, effectively, and without overdoing it? 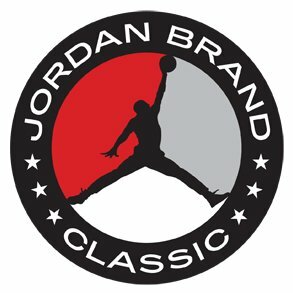 Michael Jordan has a brand. So does Madonna. You don’t have a brand. (I’ll prove that to you in a minute.) You have a reputation. The point of branding is to fix an image in people’s minds. It’s to define the person or the object and maintain that prescribed image — like Michael Jordan and Madonna. Sports stars are brands. Star entertainers are brands. When your name is worth millions, you’ll be a brand, too. In the meantime, figure out how to shape yourself to meet the requirements of a job. Show how your work will help produce profit for the business. It’s so easy to forget this when the media scream at us that success is all about “branding.” Bunk. From the recruiter’s perspective, what are the self-marketing techniques that really impress a potential employer? What did people do before marketers sold them self-marketing? Like branding, I think that self marketing is bunk. The purpose of such terms is to sell books and services about self marketing! The basics have been around forever. What impresses me in a person is their reputation — and the hard work they have done to earn it. A person who has devoted time and effort to be among the best in their field — no matter what it is — is a person whose name is on the lips of others in the business. Good headhunters, and smart employers, find their best candidates through personal referrals. (See The preemptive reference.) But that’s not marketing; that’s earned respect. Rather than branding and marketing yourself, pick something and get very, very good at it. Here’s truth in the face of feel-good marketing: Winning a job is not about you. It’s about the employer and the work. Are employers calling you with huge unsolicited offers? Are the media interviewing you and writing headlines about you? Please take no offense, but you’re not Michael Jordan or Madonna. You might get famous, and one day your name might be worth millions. On the other hand, you can prove today that you’re very valuable to an employer if you show you’ve got a clue about how to improve the business. Don’t talk about yourself. Produce a business plan that shows how you’ll do the job that needs doing. How do you market yourself? Do you have a personal brand that anyone recognizes? What convinces employers to hire you? @Nick This is in no way a criticism of your piece but in software development some people really do have a brand: they are constantly fielding interview requests, they are pillars of the conference circuit, companies are built around them etc. They are few in number, though, and software as a profession is rather peculiar nowadays: more a branch of fashion and entertainment than of engineering. Then again I surmise the same is true of cooks and a few other professions. PS: A sign of this: http://www.10xmanagement.com/ a talent agency (in the entertainment and sports mold, that is) but for developers. True but they have brands because they are really good at what they do. Emeril has a brand, the late night cook at the local Denny’s does not. Same with marketing. I know lots of ebook “authors” who work on their platforms and marketing. They still don’t sell many books. If they had as put as much effort into making their books fun and readable, they’d do better. Nick is right on as usual. I’ve worked all over the place, mostly as a freelancer, including a lot of ad agencies and marketing consultancies where branding is the product. What has always kept me in business, at every stage of my working life, is word of mouth–reputation–not “branding”. What may look like branding in cases like mine is just old-fashioned clear, accurate, full, and orderly presentation of what you’ve done, so that it points directly to what you can do in the future. That record also shows prospective clients/employers where they can look to find out what your reputation is. @Olivier: Point taken, but I think there are few people who are brands in any field. Most people looking for work rely on their reputations or ability to persuade the employer to hire them. I’ve yet to see a true talent agency for people outside entertainment and sports, for example. Does the firm you cite take a percentage of the earnings of people it represents? Does it actually represent the talent? If the employer pays the fee, it’s not a talent agency. I haven’t had time to check out the site carefully – its business model is not immediately evident. All I see is that its “customers” are corporations. Customers pay the tab. That’s not a talent agency. Nick, I love your newsletter. I’m not sure that I agree on your statements about branding unless we are talking about a very narrow definition. A product’s brand is not just a name, slogan, a website or a logo. Though a lot less visible and obvious, reputation and equity are part of a brand. You speak to reputation being important to you for finding candidates: being a designer, integrator or trouble-shooter for Z901-gizmos is part of that person’s brand. @Nick It seems to be a genuine talent agency: the founders ran a music and entertainment agency before and in a New Yorker article one of them claims that they are paid by the clients (i.e., the coders); from the same article it would seem that their rate is 15%. Mind you, I don’t look at this as a positive development. One of the corporate trolls who hired a 10x client explained candidly that in his opinion 99% of programmers aren’t worth tripe: not that they are merely average, no, that they aren’t worth s***. This is the mentality that talent agencies cater to. This is guaranteed to make software profession stink even more than it already does. I think the companies started this one. It’s just unfortunate that jobhunters have taken it up. When corporations tried to build reputations of their own, by providing quality products and good service at fair prices, they needed advertising only as a way of communicating what they had to sell. They would advertise where they were, what they sold, and when they were having a sale, sure — but the whole “branding” thing wasn’t really relevant, because just like individuals, corporations worked first to *do the job well*, and sought to improve their reputations thereby. That reputation, built over generations, became a brand, in that people would see the name and immediately think of that company’s reputation for solidity, or superlative service, or technical wizardry, or whatever else was that company’s primary area of good work. Problem was, bad companies wanted good reputations too. Only they didn’t want to bother earning them. That’s where the heavy marketing industry came in, with all its sound and fury signifying precious little. Brands became the lazy company’s way of getting a reputation they didn’t deserve. They worked with the time-honored tradition of the Big Lie — not even necessarily meaning that they were advertising falsely (which was still illegal, after all), but simply that they counted on the fact that if you repeat something to people over and over and over and over and over and over and over and over and over and over and over and over and over again, they will gradually start to believe it true. Our brains are just wired that way. You’ve given one really good reason why not individual job-seekers: because it’s not about them. But there’s another reason, which is that they simply aren’t given the kind of time it takes to make the Big Lie techniques work. You can’t repeat your way into a reputation you haven’t really earned when the employer’s never heard of you till their headhunter put your name on their desk; and they’re planning to give you all of six hours (between phone screening and live interview) at best to prove to them why they should give you the responsibility for making their company more profitable in some way. People use brand as a short-hand for reputation. Michael Jordan, Madonna, Comet cleanser, etc. would like you to buy their brand. Their families will still eat tonight even if you don’t buy today. On the other hand, you are selling yourself to a limited number of targeted employers. There is an immediate and personal cost to your family if you can’t add profit (driving revenue / avoiding costs). My problem with ‘brand’ is that an awful lot of them are pure fiction. Does Donald Trump have a belt factory? Look at the RN numbers in the clothes at your favorite department store; they tell you who actually made the garment. I was looking at top coats once at a major store. Three so called brands (Nautica and two house brands), identical except for the outer shell material, same RN number: all made in the same Chinese factory. Ill try to keep this civil. The only shock value presented here is those who think they invented branding, marketing, and career development. Newsflash – it was invented long before I was in diapers, which was long before you were in diapers. If you can sell your brand for 1.0M USD, its a brand. If you can’t, its not. Alternatively, if you can explain how your brand will help my profit margin, Ill let you call it whatever you want to call it. The problem with using brand in an interview is that the interviewer isn’t looking for the image you can project, but the work you can do. If you try to use brand, one of two things will be true: either the image you’re projecting isn’t really true, in which case you’ll be weeded out by a good manager or hired for a job you shouldn’t get (and have trouble later) by a bad one. Alternatively, if the image you’re projecting *is* true, then you won’t need to try and project it – in a careful, one-on-one investigation of your abilities and character like a good interview should be, your reputation will be plenty without layering a brand on top of it. Finally, it’s really rude to come onto somebody’s own site and insult their integrity. THANK YOU!!! Oh, thank you for blasting this branding stuff out of the water! I have been struggling with that silly advice to the point where my head hurts! Your straightforward approach gives me hope. I worked hard and long to build a solid reputation, I want to keep it. I am not a soda, a car or a vodka–I am a person with skills and passion and morals. I can solve your problems, make you money and become a valued teammate. Please don’t make me into a logo. The blog may be defining “personal brand” vs. “reputation” in terms of external awareness. If you have vast one-sided networks (where people know you but you don’t necessarily know them) and aware of your strengths, its a brand. If its only known by your immediate network, its “reputation”. Its a fine definition but these are just semantics. If I understand Nick’s worldview correctly, I think he probably objects to term “personal branding” in the sense of cultivating “Linkedin”-endorsement type branding (which are generally not very useful). Regardless of whether you call it brand/reputation, the more important point should be that if it is shallowly cultivated (as in only for marketing purpose) and the underlying characteristics dont hold true to that brand, you are likely to damage that brand pretty quickly as well as your network who spreads that brand. 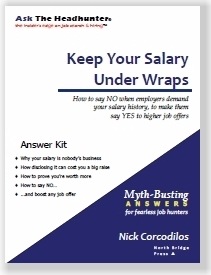 This holds true whether you show off your brand/reputation via LinkedIn, a resume, interview or as Nick suggests “showing employers how you can add to the bottom line”. If you only win the sales pitch contest at an interview and are not able to deliver on the promised “product” (i.e. you, your skill and values), that reputation/brand can be pretty short-lived. While in the past these things were organically generated, people these days want to consciously cultivate their “brand”. Nothing wrong with that as long as its not faked. Nothing speaks stronger to me during an hire than repeatedly reinforced views from my network about a person’s skill and values (esp. over a span of time). Depends on your definition of “brand,” I think. Sorta. As I learned it, a company’s brand is the expectation its customers are supposed to have about what it will be like to do business with it. From that perspective there’s nothing particularly wrong about thinking in terms of what your personal brand should be. It’s the expectation you want a potential future employer to have about what working with you will be like. I’m still with Nick on the wisdom of ignoring the concept, but more because it’s a pointless distraction. As Nick points out, anything that causes a job seeker to think inward instead of to their customer (that is, potential employer) is a distraction. But for that matter, you could say the same thing about corporations, except that they have to convey it one-to-many instead of one-to-one. Hence the need for a brand. @Peter: I spend quite a bit of time around marketers. To me, a brand is something people recognize even in the absence of the thing itself. (Cf. Jeff Bezos famous statement about personal brand, which I find far-fetched.) Who can say that Employer X might recognize their brand like you or I recognize the Nike brand or the Michael Jordan brand? What’s the ROI on any given person investing in creating a brand? How is that even possible? We’d have to show that a random person is recognizable by their brand to Employer X. I don’t think that’s a reasonable expectation, and I think it’s a waste of time of an objective. Glad you love the newsletter – thanks! My favorite part of the newsletter is great comments like yours that stimulate discussion. @Olivier: Thanks for the extra info about the “talent agency.” Most talent agencies promote the fact that certain stars and personalities are their clients — not the fact that certain companies are their customers. But that’s a quibble. I agree — when we’re talking about most professions, the idea of a talent agency is goofy and counter-productive. I think about it this way. In a biz where few people make tons of money, they control the market for their services. Sports people, performers, TV personalities. But in a biz where there are loads and loads of people doing work, they don’t really control the market for their services. The best get paid more, but show me a software developer who makes what Lady Gaga makes and I’ll show you a rich developers’ agent :-). I just don’t see them. People need agents when they have too many “employers” wanting to buy their services. The agents do the weeding out. Who really needs an agent because they’ve got so many suitors? Those that do cultivate brands. The rest of us make do with reputations. But I do think there are legitimate brands, like Kraft Foods, Ford, Microsoft. Not all their products are worthy, but we know what each of them means in their respective, very competitive markets. @Jim: I think you’re making an important distinction. A brand is directed at many. A reputation is meaningful to a few. A brand can lose lots of customers and survive. A person doesn’t have many customers to begin with, and doesn’t target him/herself at many. So in an important sense, the cost of creating a brand (in the marketing sense) would never be worth it. @Mark: You’re opening up a whole ‘nuther can ‘o worms, Buddy! :-) I think I read somewhere that happiness was invented in the 20th century. Work was always considered something separate from play and enjoyment. You worked to make money so you could enjoy the other part of your life. Is it realistic or even desirable to love our work? @Martin P: When you can show me a software developer or car salesman or welder or teacher or, for that matter, a marketer, who is a known “brand,” I’ll show you someone rich. On the other hand, I can show you a lot of successful people in all those areas of work. None have or need a brand. No one needs a brand to show an employer what they can do. They just need ability and persuasiveness. @VP Sales: I’ve been combing the comments for clear answers about what makes a brand. You delivered one of them. “If you can sell your brand for 1.0M USD, its a brand.” Bingo. I think, by definition, a brand has inherent value. We should be able to sell it apart from any tangible good connected to it. Thus Calvin Klein sold his brand to a company that now makes low-quality t-shirts that I stopped buying long ago. Can a successful executive sell her brand for money? This brings to mind an intersting and sad example of name=brand. Bernard Haldane, who virtually invented the “career coaching” business, sold his brand. He sold his name. I’m told by someone who knew him well that he regretted it, because his name was thus besmirched. I agree, but I don’t think this transfers to employment. In most cases, the potential future employer has no idea what working with you will be like. He doesn’t know you. Your name is not on billboards and he didn’t sign on as your 5 millionth Twitter follower because you’ve got 5 hit songs or 5 best-selling novels on your public record. Just how does one create a brand that gets that potential future employer’s attention? It’s just absurd. The employer either looks at what you submitted (odds are tiny he even went looking for you on LinkedIn) or considers what others have said about you. It’s a huge stretch to consider the latter your brand; it’s simply your reputation. Brands are built with a plan and with intent – because the company, product or service is defined and the point is to make the market want it. Other than stars, there is no reason for anyone to fashion themselves this way. How many employers can desire what I define as me? More likely, they will desire what I emphasize as the constellation of qualities I want them to see so they’ll think I fit what they need. In most cases, this matching begins with the definition of the need – not of the person that satisfies it. 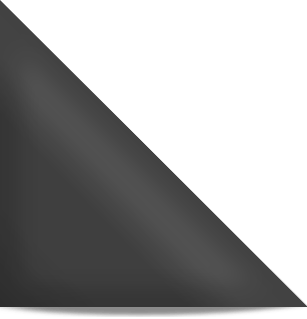 To get hired, I need to be flexible, not defined. I agree, of course, that a great rep is very, very important. But I don’t see how that’s a brand, or even how anyone can actually create what we could really call a brand. As you note, the real problem is the sales pitch behind personal branding. It’s bogus. It leads people to focus too much on themselves, when the guy who’s going to pay us for our work wants us to focus on him. A brand is created at great expense by a marketing team. A reputation in the eyes of the beholder. In a perfect world, Nick! In a perfect world. While I agree with a lot of your views and advice, I think you are looking at this purely as a one-sided market: where there are monolithic powerful employers and commoditized employees. 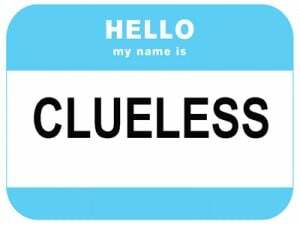 Where employees need to bend and flex and fit themselves into the company straight-jacket and where employers can pick and choose amongst hundreds and any candidate who convinces the hiring manager is the best hire (i.e. no cost for wrong hire/passing on right candidate). Dont companies try to build a brand to attract employees? Will you say that C-level employees dont have a brand? That Marissa Meyer, Sheryl Sandberg, Jack Dorsey, Elon Musk dont have a brand that is just and perhaps more valuable than that of any company (even their own company)? Surfing your own silicon valley community, you know that even their less famous colleagues: developers, growth-hackers, product managers all tout their own unique brand and get paid for it. I would venture that beyond a certain point in the career, it is the brand/reputation that earns you the money, not your skills. Building a “brand” or “reputation” does not mean inflexibility. It doesnt require marketing teams. A brand is not a message used to fake buyers about the quality of the product (its a cynical view of marketing). Rarely, a brand may keep you from some jobs – but if you have thoughtfully gone about your “brand”, which is not reflected/valued at a company, is it really a good idea to get a job there? Just as a “Linkedin gang-bang” is a shadow of deep value-adding networking, the self-promoted endorsement-driven “branding” is a shadow of actively cultivating a reputation that is _reinforced over time_. A brand is not self-promotion, it is not fame: it is the how the world perceives you and that is influenced both by concious actions and as a side-effect of your life. Your advice IS great practical advice for job-seekers who are on having a tough time finding a job or otherwise in a weak position (they are likely the key target audience on the blog here): dont focus TOO much on self-promotion to fit some brand; work on being good at what you do. But that only enriches middle-man who specialize in finding these “hidden gems”. A little bit of thought into how you are perceived and actively managing that perception is very empowering for the employee. In a perfectly efficient, frictionless job market where both employers and employees find the prefect fit and live on happily ever after, perhaps these are all distractions (as would many other “middle-man” recruiting activities that are simply means to the end of finding a fulfilling/productive activity in life). For the jobs I hire for, apart from the requisite domain skills, I look for reputations that speak to: diligence, hard-work, amiability, timeliness, creativity. That to me is a brand, whether it is consciously created or sussed out by me by speaking to references, mutual contacts, prior employers etc. I would venture that something like that built over time can lead to more genuine fit for the job than someone who reads a job description and tries to self-portray himself as the solver of all of my problems. @MC: Points taken. But what percentage of people have a brand? Using VP Sales’ test, who can sell their brand for a million bucks? Who has a brand that has inherent value? My contention is that virtually everyone has to prove their worth as they talk with each employer. The employer is not aware of any brand prior to that conversation. The purpose of any brand is that it speaks for the product or company by itself. How do you lead with your brand, before you meet an employer? Isn’t that the goal of brand-building: to allow your reputation to precede you? I would say that you are already leading with an image before you meet someone. They form that image from who introduces you, what they know about you from the internet, whats on your CV, how you approached them etc. So why not consciously think about how people perceive you and try to influence that perception in a methodical fashion? Sure, you can always change the image as you interact with people and they actually see you in action, but why not lead with the right reputation? If someone consciously cultivates his/her reputation (not through shallow endorsement seeking) but as @Olivier mentioned through the conference circuit or writing blogs or mentoring juniors or anything else that speaks positively to their skills/values, its hugely valuable. It doesnt matter if you want to call it your rep, your brand and it doesnt matter if it is worth $1M or $100. And what else is networking but brand-building? The essence of networking is not the value of the next node, but essentially to allow your reputation to spread beyond the direct one-on-one contacts. Especially if someone is having trouble even getting through the door to a decision-maker (esp. in today’s world of automated or equally mindless gatekeepers), brand-building via blogging, tweeting, participating in conferences etc. can be incredibly valuable. However, none of this means carrying a tag or self-promoting skills/values that are not true. (e.g. As much as BP would like to brand itself as a green energy company that’s beyond petroleum, post all the accidents, I doubt that is how BP is really perceived by the world). It seems to me that there are two major factions here who either desire to draw a distinction between “brand” and “reputation” or use them interchangeably. If you can’t clearly describe how a brand differs from a reputation, and you want to use the words interchangeably, then why not use “reputation”? You want to use the word “brand” precisely because it means something different from “reputation” and you wish to attach those different connotations to yourself. You want to puff yourself up and pretend that you are important and famous like CocaCola or Bono. That’s fake and disingeneous. Don’t do it. If you are reading this, you do not have a brand, but you might have a reputation. It might even be a great reputation. You might be very successful. Your work might even have made you wealthy. That doesn’t make it a brand. People with brands have agents to filter the constant flood of job offers for the rare good work. And I’d bet that none of them read this blog. @Christopher Strom: WHAT?! Michael Jordan doesn’t read this blog??? Isn’t branding something that’s done to cattle? I need help regarding my husband’s current civilian job search. He is a newly retired officer who has over 20 years of experience. During his last military position, he was removed from his command position (too long to explain) but no charges were ever filed and he retired honorably at the same rank. Nevertheless, what remains as a barrier for him is the online “fall out” from local newspapers articles which can be googled by potential employers. How does my husband reconcile this? What strategies can he take to reclaim his reputation? If any hiring manager searches for him, they will likely disregard him as a potential candidate. It seems like it is a daunting problem to overcome and is threatening his emotional health (depression) as well as our financial future if a job is not secured soon. The big problem with “branding” is that is all about wrapping, not substance. And it emphasizes the show that extroverts can perform, rather than the actual work. As a petroleum geologist, I am hired for my technical skills to find oil, not because of looking good, talking smooth, showing off, having nice buzzwords on LinkedIn or whatever. I happen to run a geology blog because I enjoy it, and that is kind of my “brand”. But please don’t ask me to make it more slick to build a superfluous “brand”. I enjoy talking about oil and rocks, but am actually quite introvert, and terrible at small talk – and why should I do that, rather than talk shop? Susan Cain’s book Quiet – The Power of introverts has got some attention, and I could see much of myself in it. Who would you rather hire; the extrovert brandbuilder that may talk himself into any position, but may or may not actually have the skills – or the introvert who just does the job? What matters now is who recommends your husband. Great, personal recommendations can trump news stories. The next step is being able to walk into an interview and demonstrate how you’ll contribute profit to the business. 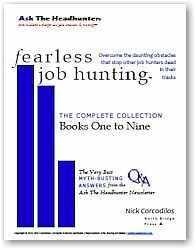 For that, see my Fearless Job Hunting Book 6. I wish you the best.